While Black History Month might be over, the City of Cleveland continues to embrace and celebrate its diversity year round. Catch up on all the events from this year’s Black History Month, right here on TV20, We Are Cleveland! 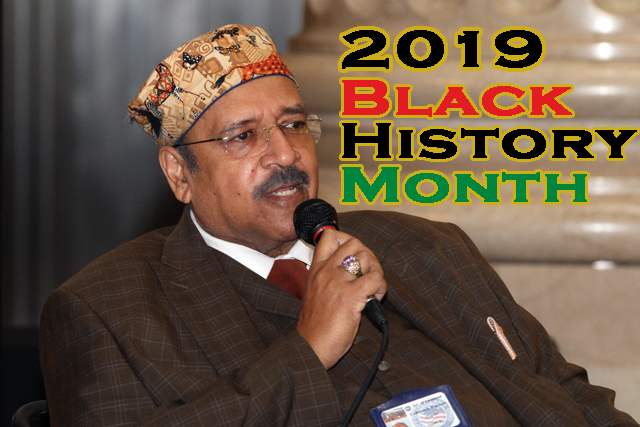 The City of Cleveland’s Black History Month Opening Ceremony was held at the City Hall Rotunda. This year’s theme is “Cleveland: Building a Sense of Community.” Guest Speaker for the event was Mark Joseph who spoke about the African American community having resilience. Akil Hameed andDelmar Yarbrough were both honored for their work as business leaders in the black community. Hameed is the CEO of FASS Real Estate Services and Yarbrough is the owner of The Wolf’s Den Tavern. Black History Month Committee Chair Shelley Shockley said the small businesses are a very important part of the community. The Black History Month Committee hosted the Go Red for Women event in the City Hall Rotunda. It was a chance to learn how to be more heart healthy with vendors offering tips on nutrition, have your vitals checked and services offered throughout the community. The Cleveland Black History Month 3rd Annual Ministers Breakfast was held at the Sunshine Café, bringing local ministers, community leaders and activists together. This year they honored Pastor Ernie Fields of the Calvary Hill Church of God in Christ. Ulysses Glen of the East Side Daily News was honored at the Building a Sense of Community in Media event for his years of hard work and influence. After receiving his award Mr. Glen joined a panel discussion that included local bloggers, radio and podcast hosts to discuss topics in media and their personal experience. As part of the City of Cleveland’s Black History Month Celebrations, the men and women of our Armed Forces were recognized at an event in the City Hall Rotunda. Honorees included Triple Nickel Richard Johnson, who was celebrating his 96th Birthday, and Tuskegee Airmen Roy Richardson and Asa Newman. The Red, Black and Green Pan African flag represents all people of African descent throughout the world. Mayor Frank Jackson attended the ceremony and offered his thoughts. The Pan African Flag was flying above City Hall through the end of the month. As a part of Cleveland’s Black History Month program series, specialist Maria Sady from the Westbrook Place Nursing and Rehabilitation facility was brought in to talk about Alzheimer’s, dementia and their care givers. In her presentation, Sady gave sobering facts about this debilitating disease. The City of Cleveland’s Black History Month celebration came to a close with a ceremony in the rotunda of City Hall. The Theme of this year’s Black History Month celebration was “Building a Sense of Community”, while honoring the life and legacies of Joyce, James and William Whitley of Whitley and Whitley Architects.